The power source for most household appliances—refrigerators, toasters, air conditioners, etc.—is alternating current (AC). Battery-based portable devices—cell phones, laptops, tablets—use direct current (DC). Sometimes you have access to one power source, but need to operate a load that requires the other type of current. That’s where power management comes into play. Everyone uses some sort of power management device, whether they know it or not. Did you plug your mobile phone into a wall outlet to charge it last night? If so, you used a rectifier, a power manager that converts AC power to DC power. Other power management devices convert DC to AC power (inverters) or adjust voltages within the same current (converters). The power requirements of your load and the power generation sources or power type (AC or DC) you have available to you dictate the type of power management device you need. When a Solar Stik System uses DC power generation sources (e.g., solar, wind, etc. ), power generated is stored in batteries and can be used to supply power to DC-only loads. Often operators also require AC power for their applications. 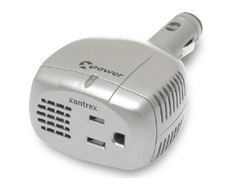 To convert DC power from a battery into AC power, a power inverter must be used. Inverters convert DC power into AC power while also boosting the lower (typically) DC voltage to the higher AC voltage. Inverters with higher wattage outputs usually are installed in fixed locations, such as boats or residential buildings with roof-mounted solar arrays. 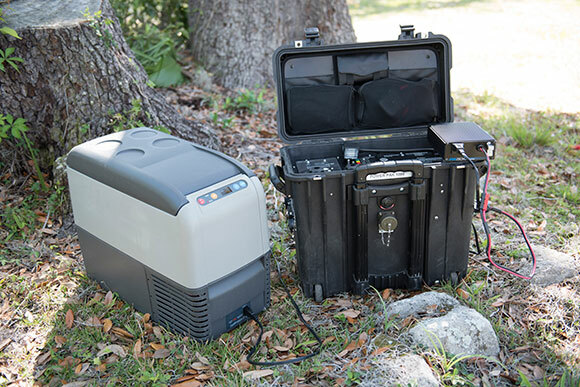 Most portable applications for inverters usually require less than 5000 watts, and many inverters have additional incorporated features such as battery chargers and transfer switches. 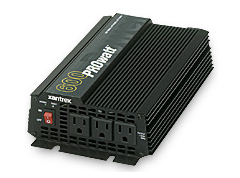 Power inverters for 12 V power generation sources range in output from 20 to 10,000 watts. You can think of portable DC to AC inverters as falling into three categories: low-wattage, medium-wattage, and high-wattage inverters. Most vehicle starting batteries will support a low-wattage inverter for short time periods. Actual operating time will vary depending on the age and condition of the battery, the Ah capacity of the battery, and the AC appliance powered by the inverter. If you use a low-wattage inverter that is powered through a DC accessory socket, and the vehicle engine is turned off, you should periodically run the engine to recharge the battery. It is strongly recommended that only deep-cycle batteries be used for any inverter with a continuous output of 200 W or more. This will ensure that you have several hundred complete charge and discharge cycles. If you use a normal vehicle starting battery to support a medium- or high-wattage inverter, it will quickly fail after repeated charge/discharge cycles (since starting batteries are not designed to perform this type of work). When the inverter operates power-hungry appliances with continuous loads for extended periods, it will drain the battery to the point where the battery has insufficient energy to support the inverter. In these cases, it’s a good idea to have additional deep-cycle batteries available to extend the appliance operating time. 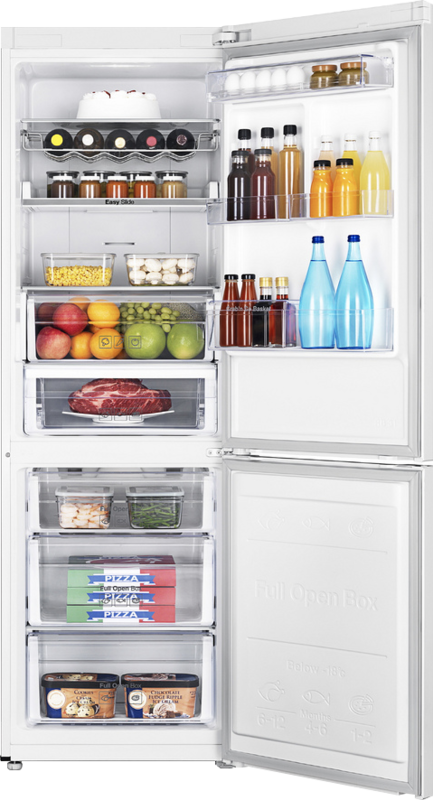 Type of appliance—sensitive electronics versus motors, lights, etc. Selecting the best inverter for an application starts with knowing the continuous operating watts or amps, and the peak surge rating in either watts or amps for the appliance. This can be found by referring to the specification plate on the appliance, its manual, or on the internet. If published information is not available, there are also low-cost, plug-in meters that will directly read AC appliance power consumption in watts. It is not possible to determine the correct inverter for the application without the power information of the appliance. It is always advisable to build in a safety factor by overrating an appliance’s continuous power rating by 20 to 23%. For example, if an appliance continuously draws 240 watts, then an inverter with a rating of 300 watts continuous output should be selected (240 W ∙ 120% = 288 W). There are some distinct differences between the various types of inverters. Typically, a user will not shop for an inverter based on its physical size, but rather its rating (power in watts), handling ability, and the type of output waveform it has. If a person shops for an inverter based on its physical size—to accommodate available storage or installation space—then the user might be restricted to using an inverter that has less than the required output or the less favorable waveform type . Inverters commonly are classified as producing either pure sine wave (PSW) output or modified sine wave (MSW) output. A pure sine (also referred to as a sinusoidal) wave can be produced by rotating machinery (a generator). This is the type of waveform provided by electric utility companies. This type of power is available anywhere an outlet is tied to the power grid, such as in homes or businesses. A PSW inverter reproduces this waveform through the use of advanced internal circuitry. Can be efficiently electronically protected from overload, over- and undervoltage, and overtemperature conditions. A modified sine wave (also referred to as non-sinusoidal or step-wave) inverter is different from a pure sine wave power inverter because the modified waveform output is step-shaped. AC appliances that are not specifically designed to work with this type of inverter waveform output may take more power to operate, thereby reducing the efficiency of the entire electrical system. For example, some appliance motors may produce more heat and burn out when they are operating. Other appliances that use electronic controls will not be able to vary speed or temperature when using modified sine wave power. Some fluorescent lighting may not get as bright or may make buzzing noises. Appliances with digital clocks or electronic timers may not work properly with this type of inverter because the waves are rougher and cause extra noise to be created in the circuitry. Inverters are usually rated in continuous power, but sometimes they are rated according to their peak power or surge power. 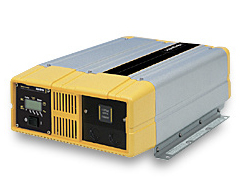 Continuous power is the total watts the inverter can deliver continuously. Peak or surge power is the amount of power that the inverter can provide momentarily when equipment or an appliance first starts up. For example, induction motors (which are often found in devices such as refrigerators, freezers, or pumps) may have a momentary start-up surge of up to 800% of the appliance’s power rating. 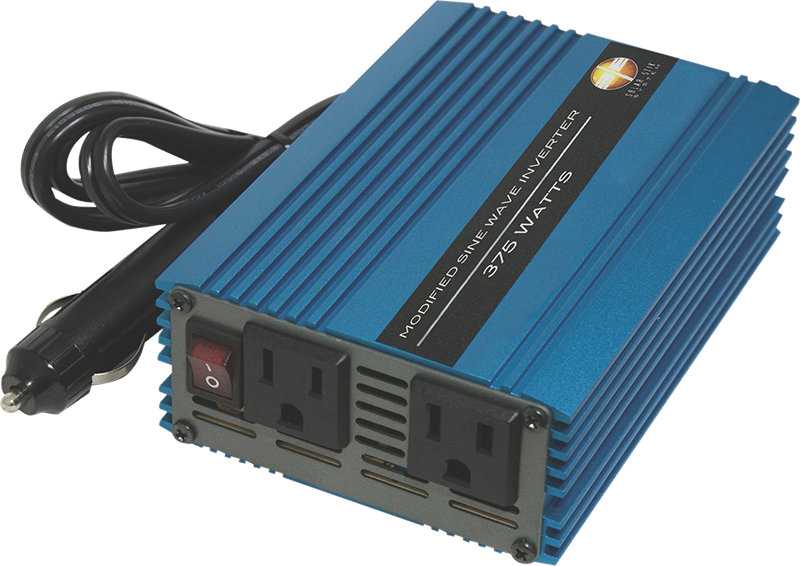 Low-wattage inverters (usually less than 200 W) often come equipped with a 12 VDC plug and can be plugged into any 12 VDC socket, such as the power outlet in a car. 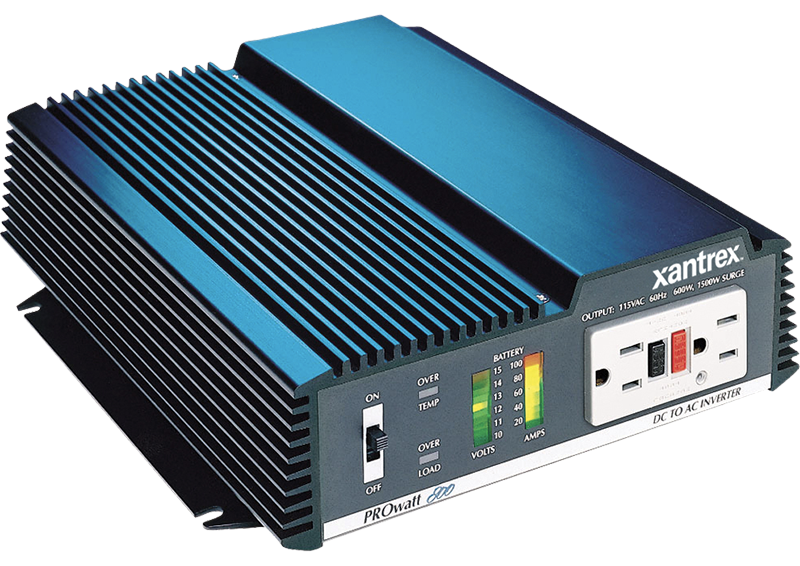 Medium-wattage inverters (200 W to 800 W) are often supplied with DC cables that must be connected directly to a battery. High-wattage inverters (800 W and over) usually require larger cables that are not typically supplied by the inverter manufacturer. It is typically the responsibility of the installer or owner to purchase the correct size (gauge) and length of cable, according to the information supplied in the inverter manual. Inverter output will be reduced in high temperatures. Consult the manufacturer’s specific literature to determine how much reduction in power output can be expected in relation to increased ambient temperatures. When using an inverter-to-battery connection cable, there is a general rule to remember: the connection cable size depends on the distance between battery and the maximum amount of current draw the inverter will require from the battery. It is good wiring practice to use the thickest gauge wire available and in the shortest length practical to avoid voltage drop. If an inadequate cable is used, it may cause the inverter to sense that the DC voltage is low and simply shut down. Incorrectly sized cables can overheat and even cause fires. If you are unsure about the proper cable size, please consult a qualified individual. Proper planning is important when considering the capacity of battery to use with your inverter. Inverters will continue to operate as long as there is sufficient battery power available. All 12-volt battery power inverters have a low-battery alarm and all have a low-voltage shutdown function that prevents damage to the battery if the voltage drops below 10.5 V. If the battery capacity is insufficient for the load size, the batteries will rapidly discharge and the user will have to deal with an unexpected shutdown. 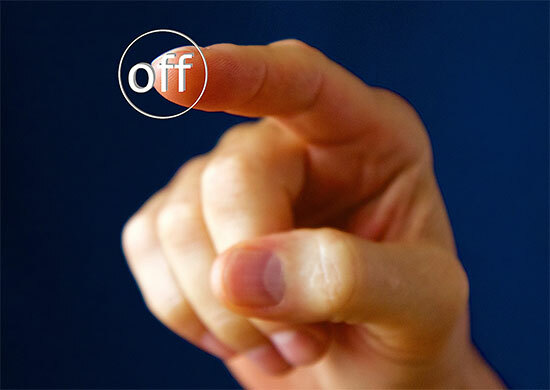 IF YOU ARE NOT USING THE APPLIANCE, TURN IT OFF! Solar Stik integrates power management into its systems via many of its products. 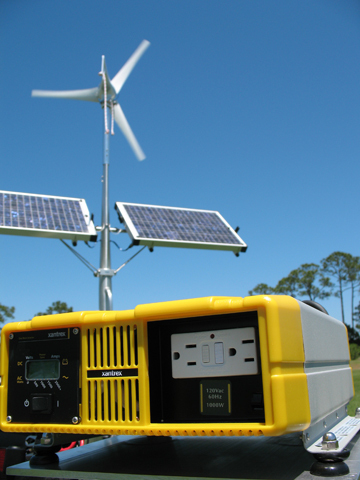 A Solar Stik System is, by itself, a portable DC system (battery storage with multiple recharging options) with a basic operating voltage of 12 V or 24 V DC. Several of our products manage DC and/or AC power in the system. Our PRO-Verters are inverter/chargers that manage incoming AC or DC power and distribute it to the load. The PRO-Verter supplies power to the load by drawing directly from the batteries in the system while simultaneously receiving power input from a fuel-powered generator or from DC power generation sources to charge the batteries. When inverting, the PRO-Verter provides continuous, pure sine wave AC power. The Solar Stik System also is designed for continuous operation from the Power Pak. Power Paks combine the capabilities of power management with DC energy storage into a durable single-case solution. 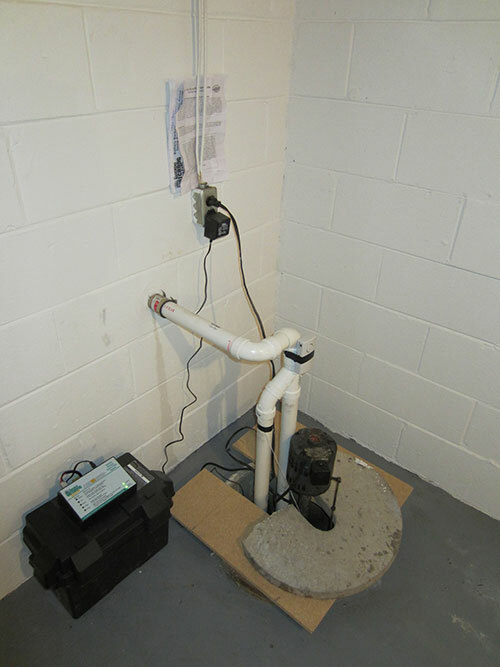 With the addition of an inverter connected to the Power Pak, an AC appliance can be supported. If the connected AC appliance is turned off, the inverter draws proportionally less power from the Power Pak battery. This lowered inverter output allows for recharge time. 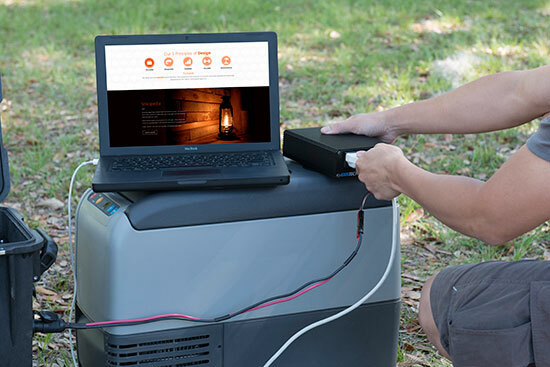 Power from the Power Pak can be used by the inverter or appliance whenever it is needed, even while a solar power generator is connected and charging.